Sheffield Hackspace is a shared workshop where our members can come make whatever they want to make, we're a do-ocracy! 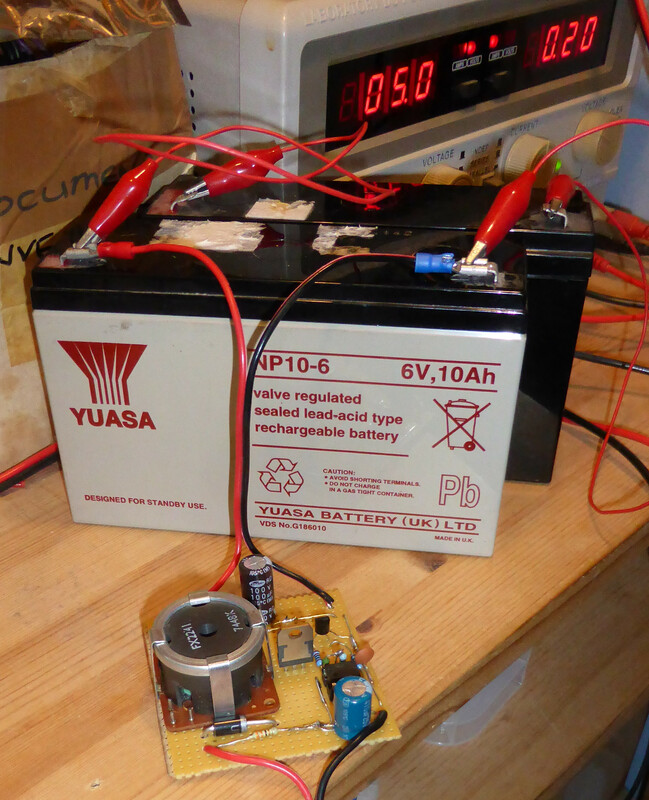 Working on a previous project to make a prototype Pi UPS I pulled a number of salvaged lead acid batteries out of the scrap bin. It quickly became apparent that the batteries were all flat and as each had a terminal voltage of around 0.5V they appeared to be beyond life ever again. Not surprising considering the number of years they had lived in the scrap bin without ever having a charge. Initial attempts to put a charge into them and get them going again were without success. Even over voltage-ing them a little to get them started failed miserably. The best of them was taking around 10 micro amps. After leaving them on charge for 5 days or so the situation had not improved. So what were we looking at ? Maybe they had dried out, maybe the plates had fallen apart and were now mush or maybe being overly discharged the plates were caked irretrievably in insoluble hard lead sulphate crystals. There are plenty of miracle cures for dead lead acid batteries and desulfation. Frankly I am rather sceptical of most of them. But for some reason I thought although slightly implausible desulfation was a fun hack to try. Chemical means to reverse the crystal build up were out as the batteries are sealed units. So it was time to rummage through the internet for ideas and then hit the scrap bins again for parts. The circuit I settled on is here Pulse Desulfator Doc. This formed the basis and the prototype as shown in the photo was a derivation of this. Having nothing to loose other than a bit of time constructing and debugging it I set too to build it. The inductor was a hand wound approximation, the logic inverter shown in the schematic was replaced with a simple transistor based inverter using a 2N2222 NPN transistor and the mark space ratio of the 555 astabel circuit needed adjusting. Probably because the inductor value was a touch lower than it should have been. But in the end it appeared to be working. Now the acid test (see what I did there….). 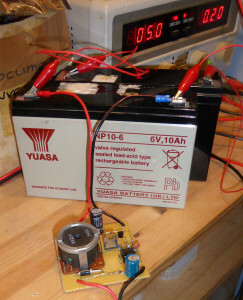 From the picture you can just see the ammeter on the bench PSU showing the battery taking a charge of 200 milli amps. So success. It took 2 days of float charge plus the desulfator pulsing away to get this recovery. Over this period the input current could be seen steadily increasing, whereas before with a stable DC supply it had just sat there and done nothing. The open circuit voltage of the battery at the time of writing now shows 4.5 volts so there is a way to go yet. It could be a couple of weeks or so before the battery is as recovered as it ever will be. In reality I can’t see them ever being “as new” however a trick worth knowing about and trying when salvaging neglected lead acid batteries. Not to self if trying this with an old car battery check the electrolyte levels first and be prepared to except that the plates could just be mush and the battery beyond recovery. After advocating for a while that it is worth running up services on Pi Servers one at a time as needed. It occurred to me that we have no UPS to keep them going when the mains electricity drops out. We also have no way to prompt services to shut down in an orderly manor under the same circumstances. This gets to be more critical when we are running infrastructure services like RfID door access and a space automation MQTT broker. Being as I am also running similar services at home I needed a similar solution for home. Sounds like a call to hack then, first stop was the junk and scrap bins, then a quick rummage through the spare bits left over from Chinese AliExpress shopping trips. I found an ex UPS maintenance free lead acid battery that had sat in the scrap bin for too many years and a couple of these tiny 3A SMPSU DC-DC switcher modules that are incredibly cheap. The SMPSU modules can cope with up to 28V input and the output voltage is set by a small potentiometer. I also found a scrap laptop PSU that had a decent current delivery at under 24V. All in all the most expensive bits were the screw terminals that you can see from the picture I used to make conections to the board. Lead Acid batteries have the useful property of being low maintenance and they will take a float charge providing you supply them with a constant voltage at the maunfacturers reccomended value. They will sit there on this float charge for as long as the battery will live. So after a quick rummage on the internet the first switch module was adjusted to provide a constant voltage at the manufacturers reccomended float value of 6.85V for the battery shown. The battery and input to the second switch module were conencted in parralel across the output of the first switcher. The ouput votlage of the second switcher was set to the 5.1V that is best to feed Pi’s with. That then was the prototype UPS finished. When the supply to the UPS fails the battery takes over and supplys the Pi. When the mains supply comes back on the battery goes straight onto float charge and the Pi is running from the mains. 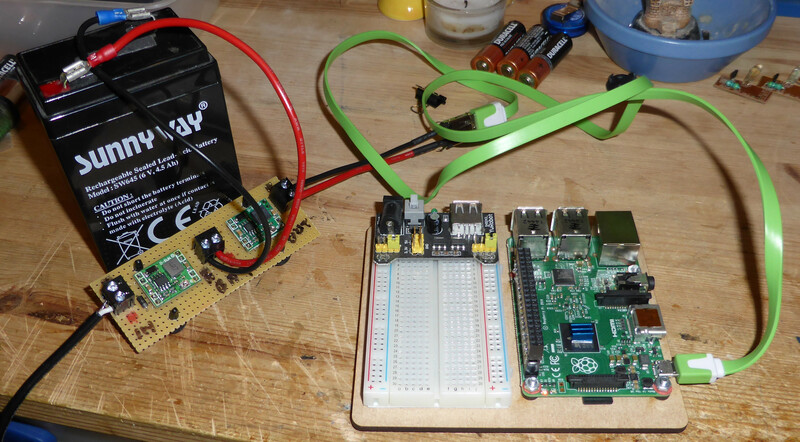 Providing that the battery float voltage is less than the supply voltage and the Pi voltage is less than the battery voltage it all works. At 6V these thresholds are all a little close together and the UPS could do with a 12V battery and then adjusting to charge at that voltage instead. But this does work and the concept is proved. The next task is to scale this up to run a whole shelf of Pi’s, with a mains high current SMPSU to drive the float voltage and supply the Pi’s, a salvaged car battery for the uninteruptible bit and one of these cheap tiny DC-DC SMPSU’s per Pi. But that is another article for another day. As part of our hacking the space project, we’re building a network of sensors and effectors in our space. Communicating over WiFi using the MQTT protocol, the idea is to make lots of data about the hackspace easily available for members to use in their projects, and to make it easy for members to add their own data streams to the space’s network of things. One of these is the Burnell Bot, responsible for monitoring motion and light intensity, plus temperature and humidity. These data will end up being used to automate the hackspace’s lights and heating, as well as forming part of our security system. In the meantime, they’re flying over the WiFi in our hackspace ready for members to monitor and use however they want. At its heart is an ESP8266-12E, sitting on a handy breakout board; you can see its silver enclosure covering most of the board, plus the etched WiFi antenna. 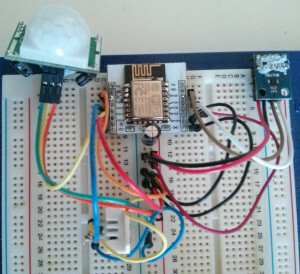 This takes input from a BH1750 light sensor over I2C, a passive infra-red motion sensor that sends a digital HIGH signal in response to movement, and the DHT22 temperature and humidity sensor. Thanks to the support for ESP8266 in the latest Arduino IDE, the BH1750 and DHT22 are used via their existing Arduino libraries. A couple of warning messages pop up when compiling, but the code runs without issue. 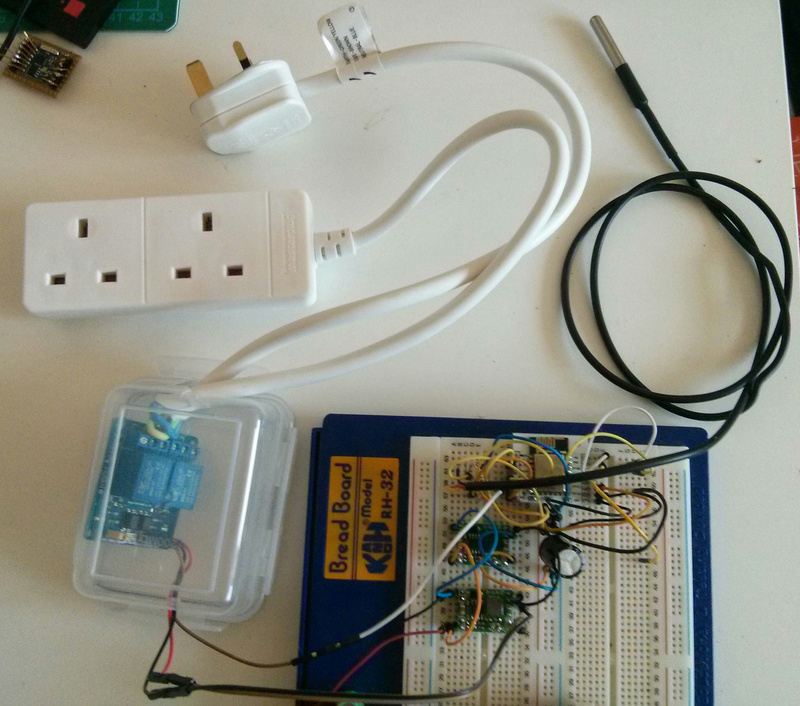 The motion sensor, of course, is monitored by simply checking the status of a GPIO pin set to input. 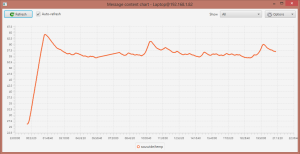 Data from each sensor are transmitted over MQTT in their appropriate topics, subject to dampening (e.g. change in light level must exceed a certain threshold before being reported) and throttling of message rates. Now that our planning permission has gone through (the downside of being hosted in such a great, historic building is dealing with its listed status) and we’ve refurbished our ceilings ready for the wiring grids to be installed, expect to see a few of these appearing in the space and start thinking of things to do with the data! Personally, I want to add sensors for carbon dioxide, carbon monoxide, nitrous oxide and particulates, to keep an eye on our air quality and to try to get a sense of whether the reported effects of high CO2 / low O2 in classrooms (impaired concentration, amongst other things) affects our hacking. If you want to get involved in this or other projects, get in touch or just look at our calendar and turn up to a session! Our friend Gee has a great writeup of the group and an evening he spent hacking the space with us on his blog, “Rambling of The Rabid Inventor”. Go have a read! We have a couple of members interested in the geeky side of cookery, and our experimental foods day a little while ago was a great success. Along these lines, I wanted to try sous vide cooking, a style of cooking in which foods are held at an accurately regulated temperature in order to favour some cooking reactions over others. It’s most commonly used when cooking meats, resulting in amazingly tender, juicy meat even from the toughest cuts. People with an interest in food chemistry — as a biologist by training, I’m definitely one of them — can also have a fascinating time experimenting with the cooking of, for example, the humble egg. This project was to turn my slow cooker into a sous vide water bath. Along with several other SHH&M members, I’ve been playing with the ESP8266 microcontroller: a great little chip with easy WiFi connectivity, a decent number of GPIO pins and, fairly recently, support in the Arduino IDE, making it very easily accessible to anyone with some passing familiarity with using Arduino. As part of our hackspace renovation project we’re setting up a system of sensors and effectors that communicate using the excellent MQTT messaging protocol; there’s a great Arduino libraries for MQTT, so getting my sous vide controller to report its heating activity and my food’s temperature over WiFi was simple. On the breadboard, you can see a ESP8266-12E with a silvery enclosure and the etched WiFi antenna. It takes input from a waterproof DS18B20 temperature probe using the standard Arduino library, which works perfectly with the ESP despite some warnings thrown up by the compiler. The ESP gets its power from a switch-mode (“bucky”) voltage regulator set to 3.3v; a second voltage regulator next to it provides 5v to the 240v AC relay. Both are fed from a 12v, 1A wall wart, not shown here. The relay, isolated from touch and moisture in its lunchbox housing, controls the power running through a short extension lead and happily accepts the 3.3v control signal from one of the ESP’s GPIO pins. The cluster of unused wires in the top right of the breadboard are in place to connect with my USB->serial board, in case I need to reflash firmware or debug over serial. In use, the slow cooker is turned to “high” and plugged into the modified extension lead. 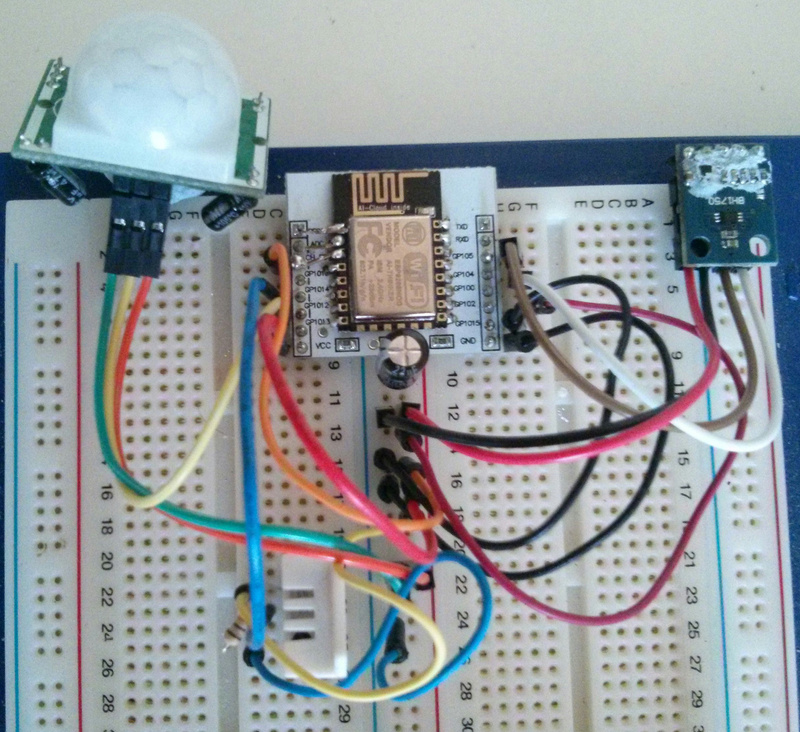 The ESP8266 monitors the temperature in the slow cooker via the waterproof temperature probe and, by switching the relay, controls the heating. 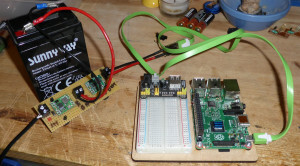 The logic is managed by a popular Arduino PID library, based heavily on their example code for relay-controlled systems. 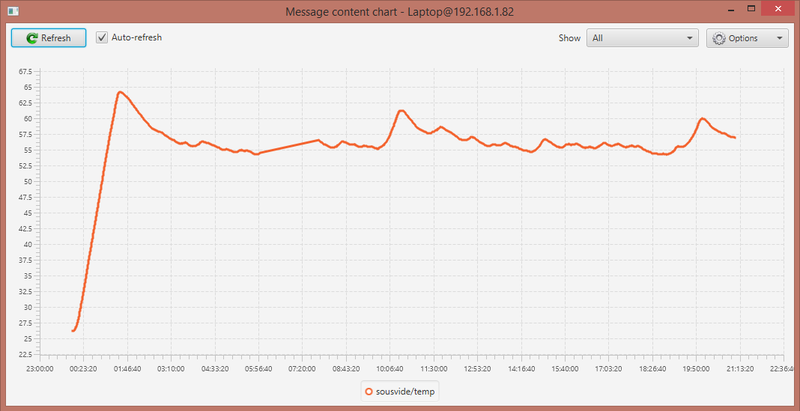 Data from the sous vide controller is reported over WiFi via MQTT, meaning that I could keep an eye on the two critical parameters (current temperature and how hard it was working to increase the temperature) using my laptop, phone, or, in principle, other ESP or Arduino devices connected to my flat’s WiFi. 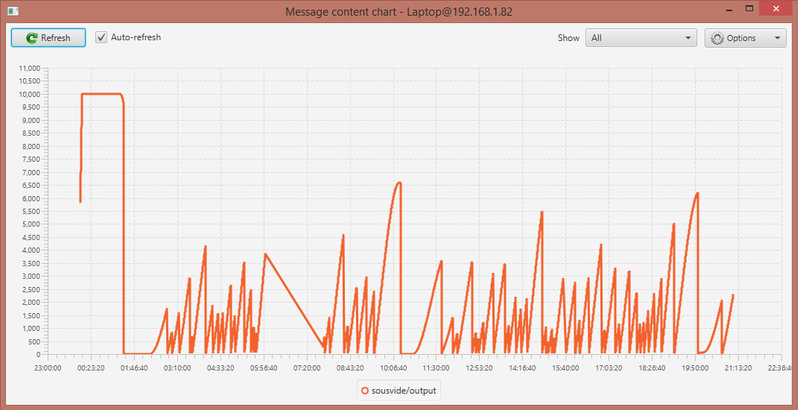 The excellent MQTT Spy even generates handy graphs from your incoming data in real time, bringing the food geekery to new heights. In future, also sending the data to something like data.sparkfun, to easily monitor and graph data when I’m out of the flat, should be straightforward. The most important part of the post: The resulting food is amazing! So far I’ve only used it for meat, although there are plenty of interesting things like eggs and custards that I’m keen to try. Traditionally tough cuts of meat — shoulder of lamb, beef brisket — come out rare, tender, and juicy, with their distinctive flavours intact. More tender cuts, like sirloin steak, are done to perfection every time and, really, have to be tried to be believed. This was a quick and hacky project, but the results are fantastic. Definitely a success, and well worth making yourself. The PID algorithm needs tweaking to improve temperature regulation to within a degree or two (easy but time consuming, and in the current warm weather I’m trying to avoid having a bath of hot water sitting in my well-insulated flat for hours on end), it needs to go in a case, and it needs a better control mechanism than re-flashing the firmware to change the target temperature. Getting the ESP to host a simple web page displaying controls — or even to just accept commands over MQTT — should be simple enough. If you’re interested in learning to make this sort of project — or already know how, and want to meet up or work with others who do — come along to SHH&M! Get in touch with us here, or look at our calendar and just turn up to one of our scheduled meetings and introduce yourself. A wi-fi and touch controlled NeoPixel ring using the Wemos D1 Mini ESP8266 module. 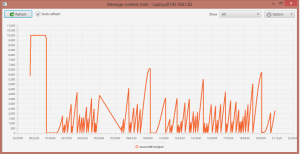 Andy Kosela on Retro IBM 12″ VGA monitor (8512) attached to a Raspberry Pi! Sheffield Hackspace is a trading name of Sheffield Hardware Hackers and Makers CIC, a registered Community Interest Company.